We offer a comprehensive gutter cleaning and repair services at competitive rates. 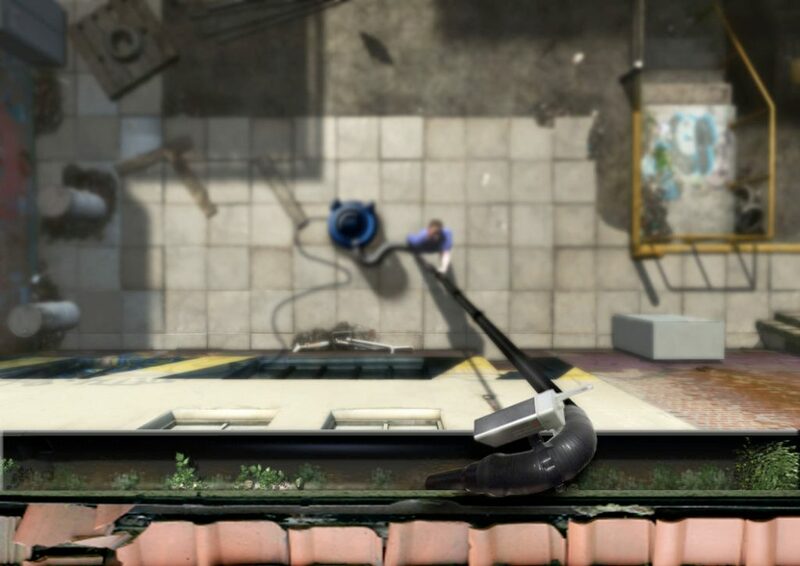 We use the Industrial SkyVac 85 – ‘The Worlds Most Powerful Free Standing Gutter Cleaning Machine’ . The gutter cleaning machine can be used from the ground which eliminates the need for expensive Scaffolding where required, this allows for accessing those more difficult areas. We use the Skycam digital wireless camera in conjunction with the gutter cleaning machine that enables the operative to see that the gutters are cleared when operating from the ground. Our experienced operatives will remove all dirt and debris from the guttering and check the downpipes to ensure free flowing guttering. We will advise how often you should clean your gutters according to your properties circumstances. Guttering will need clearing when moss, leaves and other debris start to collect and typically needs clearing once a year. We include a CCTV survey of your gutters to show you the state of your guttering before and after. 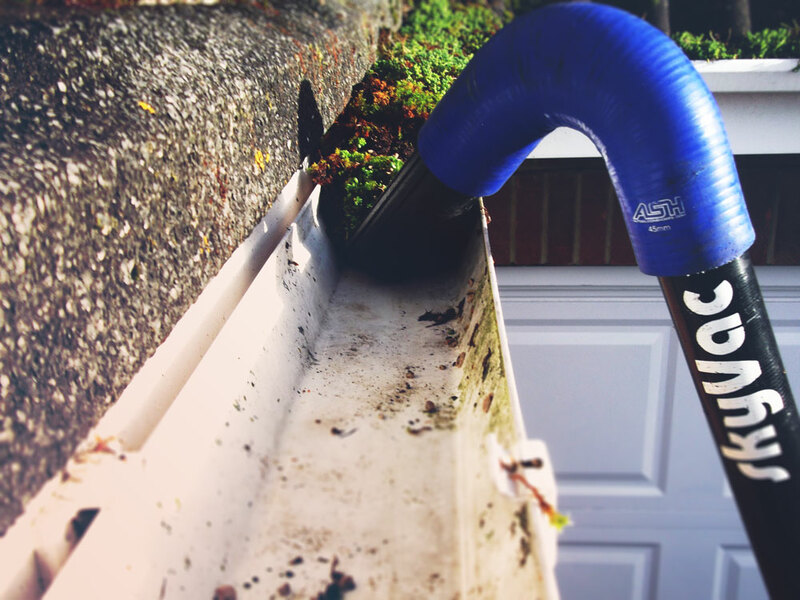 If blocked or damaged gutters are not cleared regularly and left too long you run the risk of serious damage to your property, encourage mould growth and damp. If your gutters are not regularly maintained it could result in avoidable expensive repair bills. The SkyVac system can be operated from the ground and without expensive access equipment. Our operatives have the skills to identify any potential problems and advice on whilst on-site. Repairs can be carried whilst on site and most of the time our fully equipped vehicles will carry spare parts. Obtain a free quotation over the phone, via email or an arranged site visit from one of our surveyors. MK Roofing Group Ltd have a comprehensive health and safety management system. Operatives hold a CSCS working at heights qualification and have gone through extensive company in-house health and safety training to give you peace of mind that all works is carried out safely and competently. We use a specialist ladder system when required in conjunction with harnesses. It couldn’t be easier to book your gutter cleaning over the phone, a trained advisor will promptly take the information required and offer a fixed price quotation in no time at all. Please get in touch with us today to discuss your gutter clearing or repairing requirements.